Looking for an Integrative Approach? Psychology & Hypnotherapy with Michelle van Namen (please see contact bottom of page). At Integrated Health Specialists we adopt a holistic approach to well-being and we consider all aspects of your current physical health and your state of mind, offering unique programs to improve your quality of life. Our holistic, medication-free approach is effective for all types of psychological problems and stresses – even the most serious and severe. Whether you are experiencing such symptoms as stress, anxiety, depression, phobias, obesity, low self-esteem, lack of confidence, insomnia and many other personal limitations, we can help you. Michelle brings to you over 21 years of international experience working with human behaviour. She has a Bachelor of Arts (Honours), majoring in Psychology and is a registered Psychologist with the Psychology Board of Australia. Michelle is an internationally accredited Master Practitioner and Trainer of Neuro Linguistic Programming, Hypnotherapy and Results Coaching. She is also a qualified practitioner in Reiki Jin Kei Do, Emotional Freedom Technique (EFT), Integrated Spiritual Alignment (ISA), Crystal Therapy and Aromatherapy. 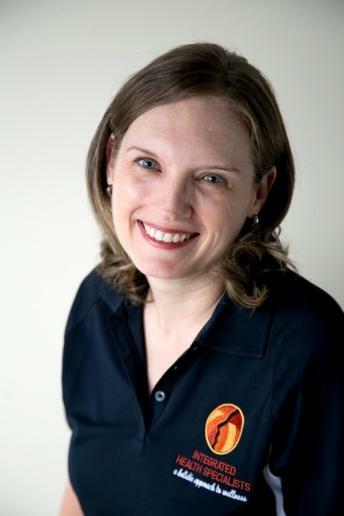 Michelle is a registered Medicare provider and also a provider for all major health funds. Health is the ability to live to your full potential. From a holistic perspective, health is a state of balance that exists on three levels: body, mind, and spirit. Applying the term “holistic” to concepts of well-being means that achieving and maintaining good health involves much more than just taking care of all the various components that make up the physical body. When the concepts of holistic health are put into practice, the approach to therapy takes on a new dimension. We see traditional medical care expanded to encompass a broad spectrum of therapies coordinated to meet that totality of a particular individual. The focus then is not just on the dis-ease and symptoms, but the whole person. Unresolved negative emotional states can lead to illness and dis-ease; unresolved emotional issues are the main cause of 85% of all illnesses. Chronic dis-ease is a manifestation of unresolved or incomplete healing. Chemical, physical and psychological irritations create functional imbalances in your body, which, if not corrected, often lead to dis-ease. Symptoms are the expression of an issue that we have been ignoring, denying or repressing. Illness is a message giving us a chance to look at our behaviour and the patterns in our lives, looking inwardly to see what our feelings are and what we want to do about them. Recognising the meaning of our symptoms is the beginning of an important journey; the first step towards understanding ourselves more deeply. A holistic therapist also sees both problems and their potential solutions residing within the person; she or he sees treatment as a matter of tapping into those answers within rather than imposing resolutions from without. The role of the client changes in learning how choices, actions and attitudes affect their present condition, and how one can be an active participant in the healing process. The ideal of holistic well-being is the realisation of our human potential as total beings, and our desire to live fulfilling and satisfying lives. The goal is not just to be “well” in the physical body, but also to be in harmony with our environment and ourselves at all levels, body, mind and spirit. Also diet, exercise, life-style, social responsibility and relationships are taken into consideration when creating optimum well-being. 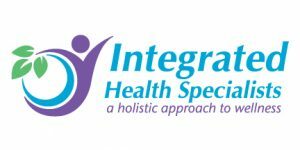 Please visit www.integratedhealthspecialists.com.au for more information about our services and unique programs.